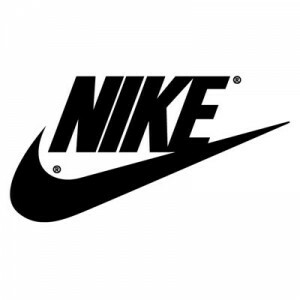 Nike, Inc reported results for the third quarter with gross margins that increased sales growth in each sector and growth in futures orders. However, the year before during the same quarter net income included $204 million from operations that are now discontinued. Therefore, the amount from Nike’s continuing operations would have been $662 million. Therefore, the current net income for operations is 3% higher than the same quarter one year ago. Gross margin as a percentage of sales increased 0.3% because of higher prices and higher margin in sales direct to consumers. The benefits of gross margins that are higher on higher sales was offset largely by increased costs in SG&A. Revenues in continuing operations were $6.98 billion which was up by 13% over the $6.19 billion from last year. Revenues from NIKE Brand were $6.6 billion, which was up 12% or 14% if currency was neutral. Converse revenues were $420 million or 16% higher on currency neutral and GAAP. The company announced that NIKE Brand has sales growth across every key and geographic category. At the end of the quarter, future orders for the company for its athletic footwear as well as apparel that is NIKE Brand were $10.9 billion or 12% higher than the same period one year ago. Orders deemed “futures” include the athletic apparel and footwear that is NIKE Brand scheduled to be delivered between March of 2014 and July of 2014. Mark Parker the Nike CEO and President said the strong results for the third quarter demonstrate the company’s focus on innovations that resonate with the consumer. Parker added that despite challenges in macroeconomics, the company continues to deliver consistent results due to its focus on biggest opportunities in growth, while managing risk across the company’s diverse and global portfolio.